The analysis of slotted waveguide arrays is performed by means of a rigorous wide-band equivalent circuit representation of the complete antenna. 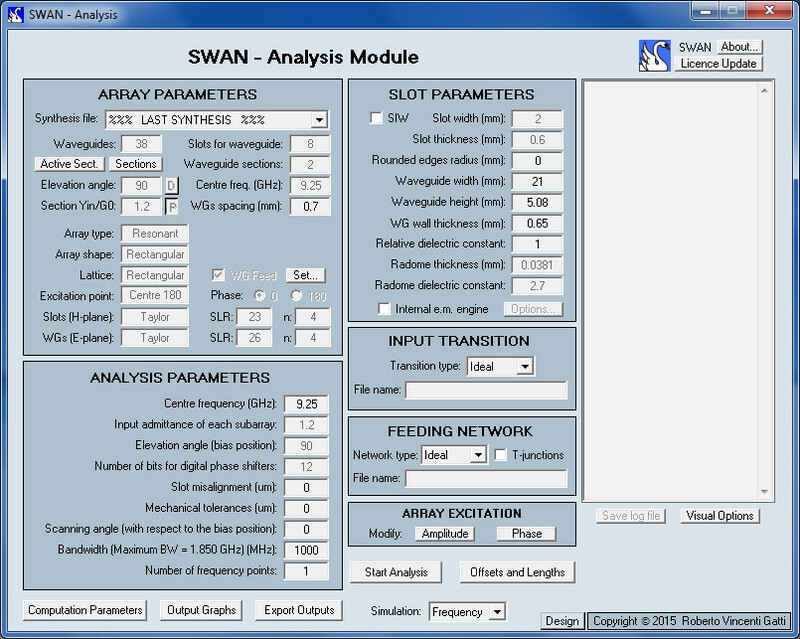 The array can be simulated in a frequency range and for different scanning angles, including in the analysis mutual coupling effects and their dependence on frequency and scanning angle. The feeding network as well as the input transition can be taken into account through their scattering matrixes.